Twenty-one SNPs located in the cluster of genes FMO1-FMO2-FMO3-FMO4 and adjacent areas were analyzed in the patients with ischaemic cardioembolic stroke and in the control group. 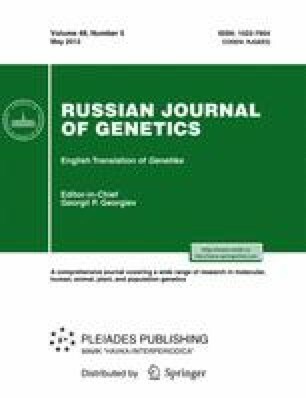 Significant differences between these samples were found in the distribution of genotype and allele differences in two polymorphic loci, rs10912745 and rs4916375. It was shown that these polymorphic loci are associated with the risk of ischaemic cardioembolic stroke development. Original Russian Text © T.V. Tupitsyna, E.A. Bondarenko, P.A. Slominsky, I.M. Shetova, N.A. Shamalov, D.Yu. Timofeev, V.I. Skvortsova, S.A. Limborska, 2012, published in Genetika, 2012, Vol. 48, No. 5, pp. 672–675.